DOCUMENTATION...who knew this one word could provoke so many emotions among health care clinicians? Say this word, and you will hear stories of triumph and defeat. From universal required elements in the admission history and physical, progress notes and discharge summaries to the specialty specific language of advance care planning and pain assessments, there is a constant pressure to get all the pieces to fit correctly. Moving from analog to digital offered much hope, but also new problems. 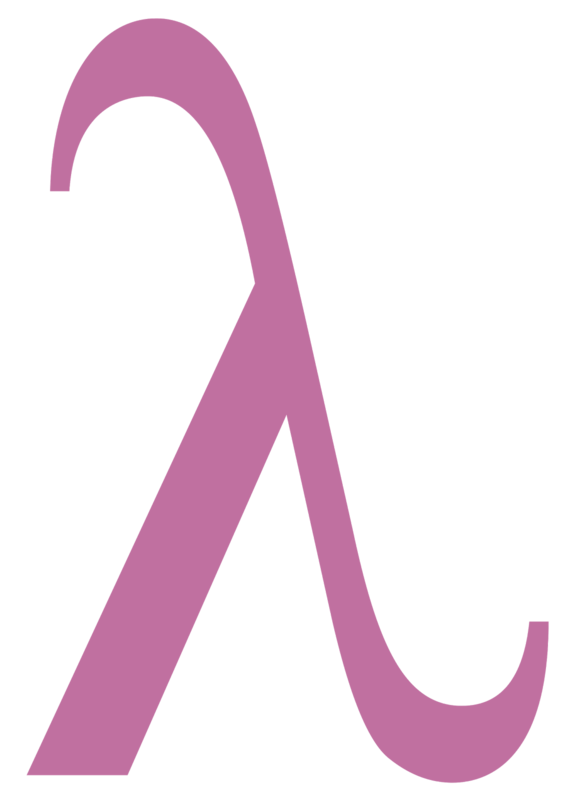 Before we even start typing or dictating a new note, most of the success or failure lies in how we design our notes from the start. Standardized documentation promises clinicians consistency, data tracking, opportunities for quality improvement, and inclusion of essential elements of a specialty. If a template is built well, it should save time and impact the clinician experience and patient care in a meaningful way. Designing templates can be like walking a tight rope. Fall on either side, and it can lead to burnout and frustration by those using the templates. There are many stakeholders who have a vested interest in the components of a clinical note. It is used by many different entities for different reasons: the billing department wants to submit the correct bill, the clinician/team needs to communicate clinical plans, the patient wants to be assessed accurately and without stigma, payors want to make sure they are paying for value, risk management stresses timeliness and compliance, health care administration wants to make sure all of the above are being done well. We are asking a lot of our notes and the templates that guide them. And for tools like these that are used millions of times daily, there is not much research or quality assessment involved in these vital communication platforms. 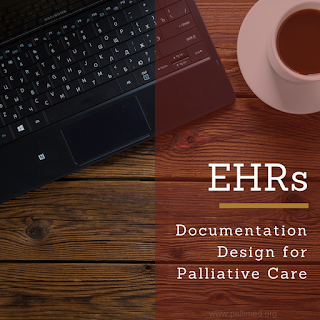 Palliative care documentation and templates also present unique challenges, as palliative care is provided in an interdisciplinary setting, tells personal story outside of standard medical issues and must relay the overriding goals that drive the creation of a medical plan. If we are successful, we are able to tell a human story, effortlessly meet billing standards, communicate seamlessly with all parties involved, save time, and track the spectrum of suffering or comfort and quality metrics. 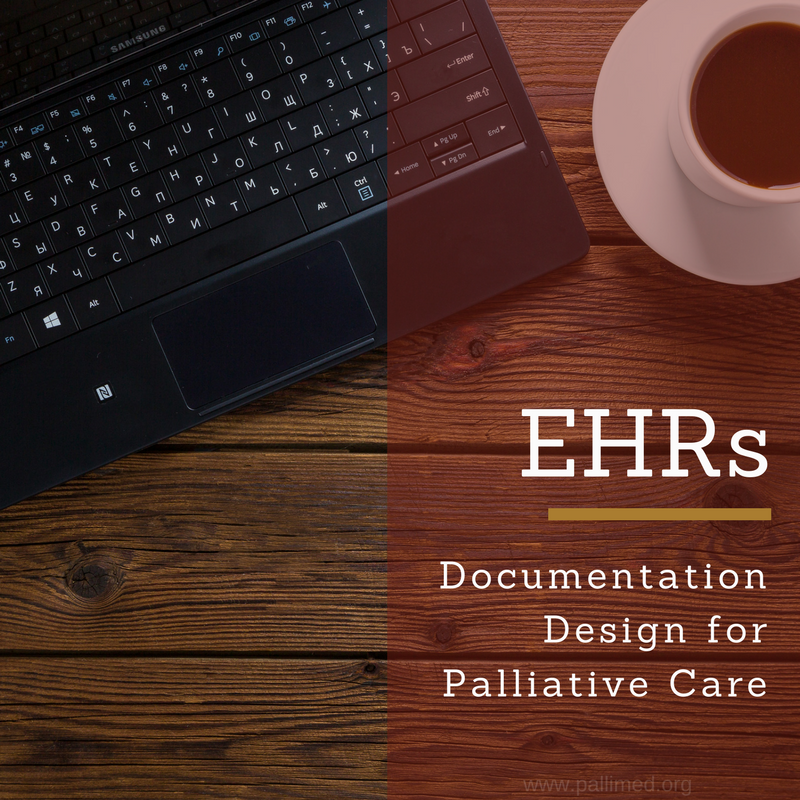 This is the first of many posts over the next few months as we prepare for our presentation "Documentation Design: Palliative Care Notes in the EHR Era" in Boston at the Annual Assembly of Hospice and Palliative Care in March 2018. (Psst it is Friday, Mar 16th at 3pm, make sure you come!) We are very interested in hearing about your challenges and successes! We are kicking it off with a #hpm chat, Wednesday Nov 29, 2017 at 9p ET/6p PT. 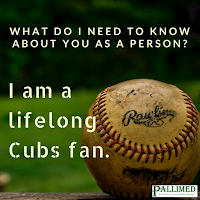 We will post here and on the AAHPM Connect Forum to seek your input to help make our talk meet your needs. (Sign up on hpmchat.org to get alerts to upcoming chats!) Topics we will be covering in the chat include: Templates: love them, hate them, what works best for you? Should we consider different types of notes for different reasons or make them all try in fit in our usual current note types? How can we make the EHR work for us and not the other way around? April Krutka is a palliative care physician at Intermountain Healthcare in Utah working on the Cerner EHR. Christian Sinclair is a palliative care physician at the University of Kansas Health System working on the EPIC platform. Holistic care is essential in the mission to fully meet a patient's needs. 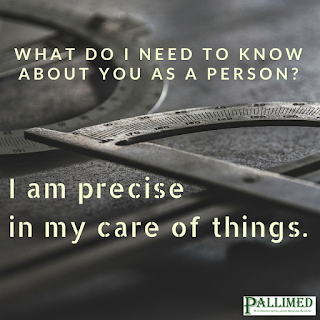 And a holistic perspective is the backbone of end of life and palliative care--it's the basis of having an interprofessional team that acknowledges that quality of life is multifaceted, and lives are diverse. 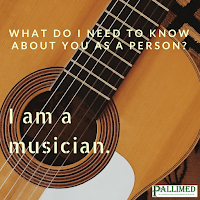 But getting to know a patient enough to be able to be "holistic" can be difficult. 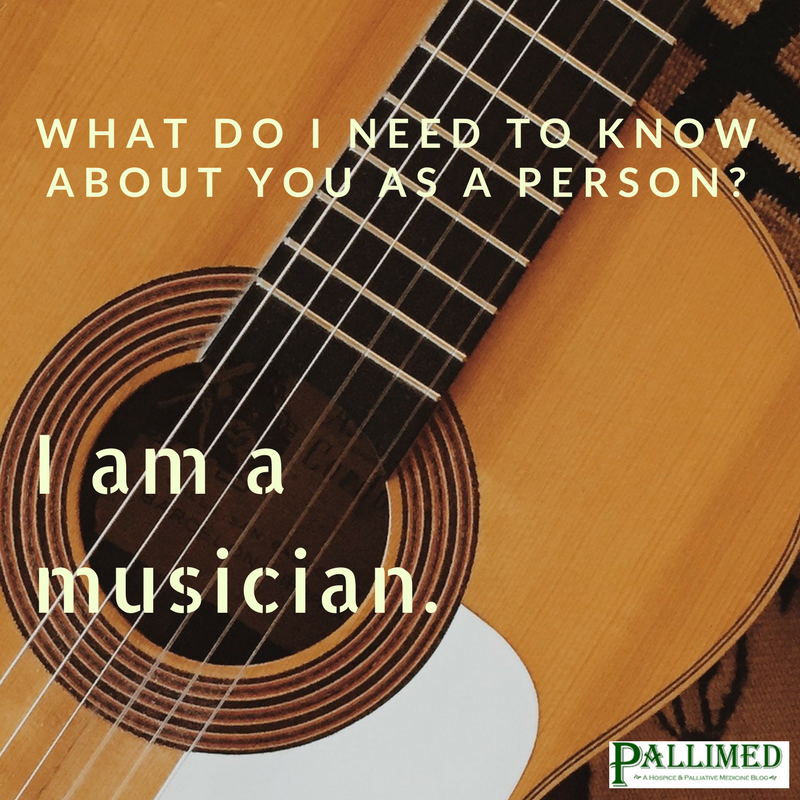 And in the case of LGBTQ individuals, getting to know the patient as a whole is not only all the more important—it’s integral. According to a 2016 Gallup survey, 4.1% of U.S. adults openly identify as LGBTQ, or around 10 million adults. Of that 4.1%, 2.4% are Baby Boomers (born 1945 to 1964), and 1.4% Traditionalists (born 1913-1945). And in order to be able to provide holistic care to LGBTQ patients, it’s important to recognize that LGBTQ individuals have specific medical, psychological, and social needs. They are more likely to experience mental health problems, due to a number of social stressors including prejudice, stigmatization, anti-gay violence, and internalized homophobia. Many are susceptible to depression, suicide, and substance abuse. And many face isolation, and difficulty accessing resources and appropriate care. On the flipside, LGBTQ individuals are more likely to have an advance directive completed as a legal safeguard to their wishes, and are likely to have “chosen” or “lavender” families and strong community ties, and highlight the importance of including these individuals in developing a support system. 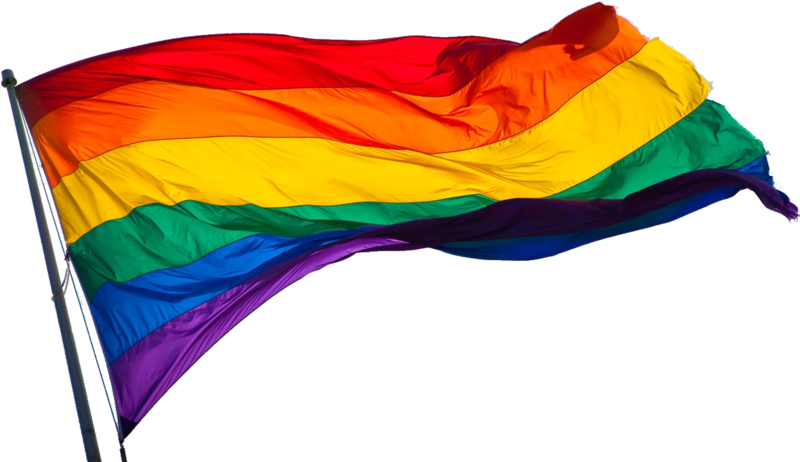 To begin to provide holistic care to LGBTQ patients, it is important to have basic cultural competency on LGBTQ people and their historical and contemporary experiences in healthcare. Though some strides have been made in incorporating LGBTQ cultural competency in healthcare training, much can be done in executing these findings in practice. And it is very important to remember that small steps can quickly translate into big steps—starting with the basic challenges that LGBTQ patients face at the end-of-life. Though strides have been made in fostering acceptance of and earning equal rights for the LGBTQ people, historical trauma and ongoing discrimination strongly color LGBTQ lives today. And for LGBTQ elders who lived in a period of less social acceptance, and harbor a lifetime of discrimination and negative healthcare experiences, an expectation of prejudice on the basis of their sexuality may not only detract from holistic care, but also prevent them from obtaining care in the first place. Some feel that hospice and palliative care are not services available that are available to them, and will not understand or meet their needs as they relate to sexual orientation or gender identity. Some anticipate receiving worse treatment than their straight and gender-conforming peers. And some feel that they must go “back into the closet” in order to protect themselves from the hostility of hospital or assisted living staff and patients. And transgender individuals’ wishes to be recognized and die as their preferred gender are often disrespected. t feels comfortable enough to disclose their identity. 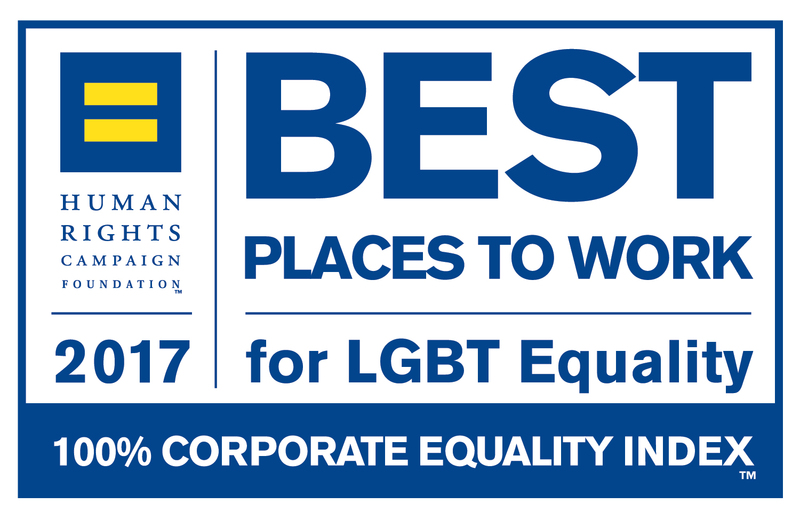 Place a sign that signals that your office is LGBTQ-friendly, and display brochures that are relevant to LGBTQ-health issues. Review your literature and forms to ensure they have inclusive language and questions. Add a transgender option alongside “male/female” in your intake forms. Do not assume a patient’s sexuality or gender identity, and do not force a patient to disclose their sexual or gender identity if they are uncomfortable. Instead, introduce yourself with your preferred pronouns, and ask about theirs. Do not assume that a trans patient desires or has undergone surgical or hormonal transition. Make it clear that you are comfortable with their identity, and are willing to learn how to support them through identity-specific issues. Try having a conversation, if they are comfortable, about their fears and needs. Be aware of the language you use, and ask about their preferred name and gender pronouns. Isolation and “non-traditional” family status factor greatly in the delivery and facilitation of care. LGBTQ individuals are more likely to be single, less likely to have children, and more likely to be estranged from their birth families. Many have “families of choice” (also called “lavender families”), composed of close friends and support groups. But for many LGBTQ elders, these chosen families may be threatened by aging and illness, and face trauma from loss in the HIV epidemic in the 1980s and 1990s. 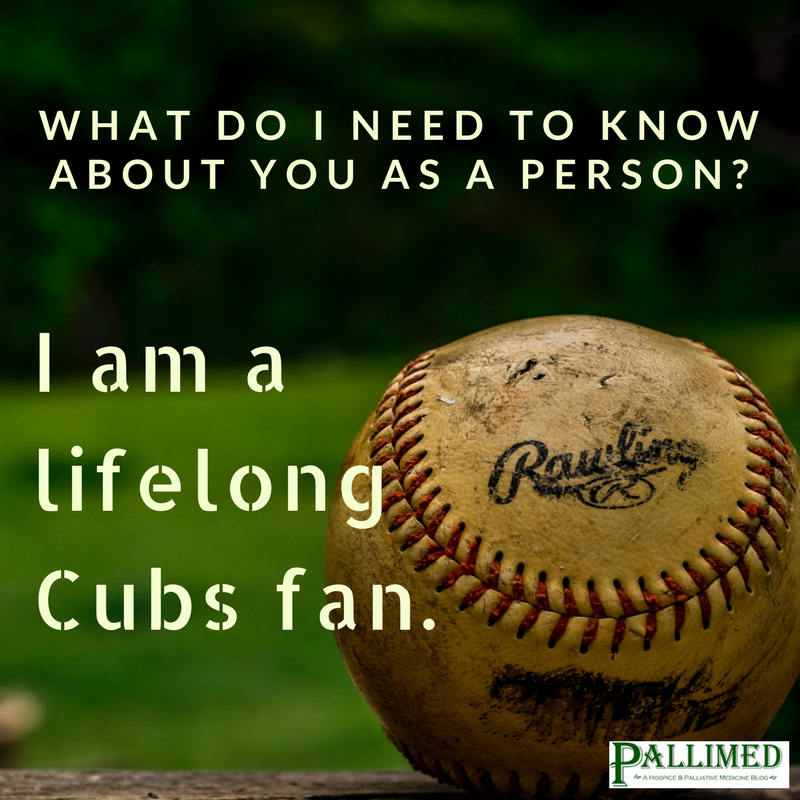 Many feel concern that their partner might not be recognized or be able to serve as their durable power of attorney for medical and end-of-life decision-making. Those without a legal partner or paperwork specifying their wishes face having family members they may not have spoken to for years making decisions on their behalf. For LGBTQ individuals, having a power of attorney in place is top priority. And the bereaved are vulnerable to being left out of the picture altogether. Non-registered surviving partners are denied family leave and bereavement benefits, automatic inheritance jointly owned property, and may lose the right to determine funeral plans. Many experience disenfranchised grief by not being recognized as needing support, and often carry a greater care burden due to late access to care. Ensure that their partner is recognized as such and feels supported. If they bring someone into the meeting that they introduce as a close friend but may in fact be their partner, emphasize that you are comfortable with their identity and are willing to support them. There are large gaps in the literature in regards to providing care for LGBTQ elders. There has been a general “invisibility” of LGBTQ older adults, due to lack of data collection around sexual orientation and gender identity. And most research and much of the data have been based on the experiences of white, middle class to affluent individuals living in urban areas. The majority of the reports and papers found through an online search on LGBTQ end-of-life care was from the UK and Australia. 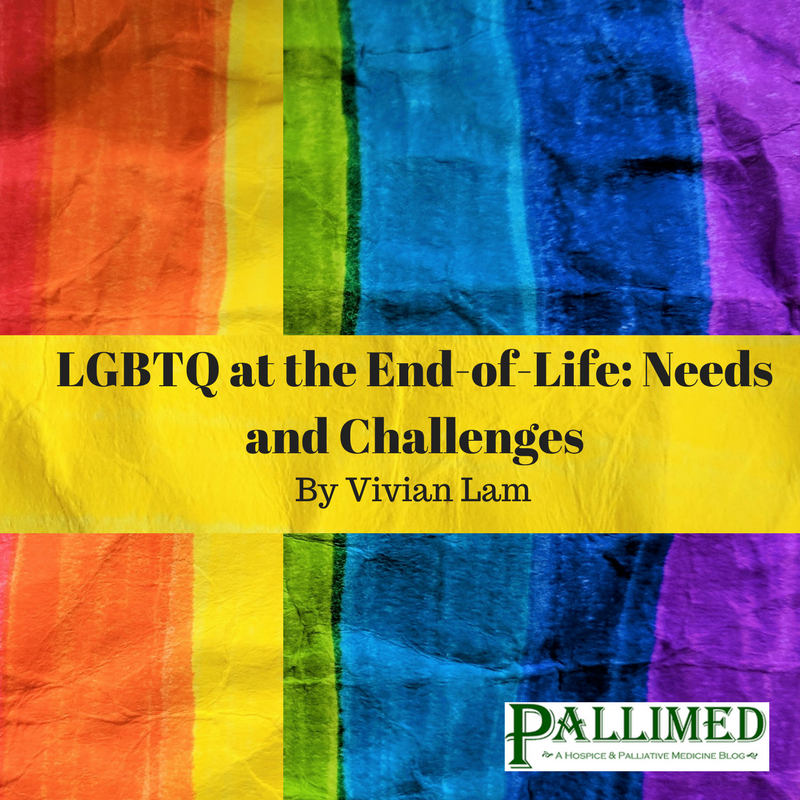 In order to fully assess and address the issues and needs that LGBTQ individuals face at the end of life, further research must be done. And greater focus must be placed on the diverse range of experiences that make up the community. Make an effort to educate yourself on basic LGBTQ health disparities and terminology, and how to recognize and challenge discriminatory beliefs about LGBTQ people. Implement a staff training program and advocate for cultural competency in treating LGBTQ patients. 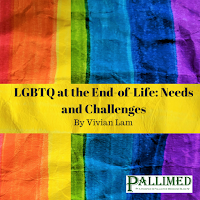 Encourage further research on the needs and experiences of diverse LGBTQ patients at the end-of-life. Treating everyone the same is not the same as meeting someone’s needs. It is not so much a matter of providing equal care and avoiding discrimination than recognizing that sexuality and gender can be an important part to someone’s identity, and does impact their health needs. Making a big impact in the end-of-life and healthcare experiences of LGBTQ patients requires both little and large effort. 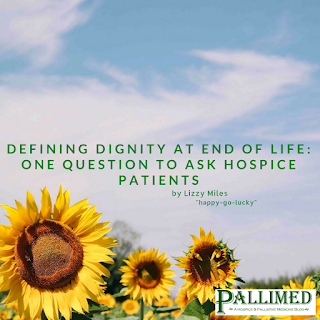 Providers must have an open mind, be respectful and compassionate, and acknowledge an individual’s unique life from beginning to end—the basic tenets of holistic end-of-life and palliative care. It’s simple—but it makes all the difference. Vivian Lam is a clinical research coordinator in thoracic oncology at UCSF, striving to contribute tangibly to the fields of end of life and palliative care, and the medical humanities. She enjoys running long distance and warbling the same songs in the shower all year long.